Sydney is known for nightlife, trails, beaches, parks, and museums. 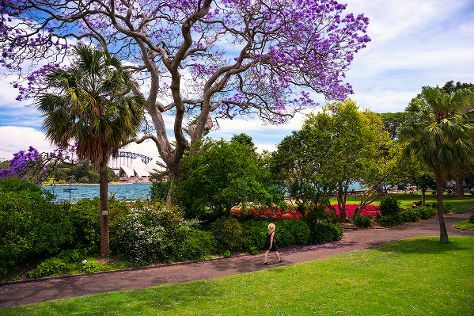 Your plan includes some of its best attractions: admire the natural beauty at Royal Botanic Garden Sydney, stroll through Bondi Beach, take in the views from Sydney Harbour Bridge, and kick back and relax at Manly Beach. To find maps and other tourist information, refer to the Sydney holiday website . Manchester, UK to Sydney is an approximately 25-hour flight. You can also do a combination of flight and train. The time zone difference moving from Greenwich Mean Time to Australian Eastern Standard Time (New South Wales) is 10 hours. Plan for a bit warmer temperatures traveling from Manchester in October, with highs in Sydney at 28°C and lows at 17°C. Finish your sightseeing early on the 29th (Tue) so you can travel back home.